Friday Dec 4th at 1PM the new pedestrian and cycling bridge spanning the Rideau River between Strathcona Park and River Road opens. Adàwe, meaning to trade, provides a vital and necessary link connecting communities and businesses; reclaiming a part of Ottawa’s history on the site where historically practical residents built a boardwalk passage. The Adàwe crossing eliminates the unnecessarily long detour for walkers and cyclists by providing a crossing points in-between the car-centric Cummings bridge and isolated MUP train bridge. This is a hopeful sign of change in Ottawa where modal-share infrastructure investment is, even in record years, woefully inadequate and the destitute to vehicular road investment. Adàwe transforms Riverain and Strathcona parks from end-points to passage-ways providing a commuter route for many. The beauty of this route reclaims the river, encourages the practical use of parks, promotes mobility and builds interaction between communities via a purposeful people-place in the heart of urban nature. Congratulations to all that brought this vision to reality! On Friday evening following the repulsive terror attacks, we limited the news in our household mindful of the fears it might awaken in our 6-year-old. From Beirut through Paris, and in so many other regions, people were going about their daily lives when horror erupted. Accompanying death were traumatic, chilling sights and sounds imprinted on survivors and transmitted to onlookers near and far. As we began to weigh-in on what to tell a young child. Whether to share or shelter her from the news that was, after all, not on our shores the question of the location raised its head. The continued pervasive coverage of France’s tragedy is neither surprising nor an insult to other countries or populations that have equally suffered. This is not a competition. In London the coverage of 7/7 was intense and on-going for months, especially in the UK. Last year the October shooting in Ottawa, Canada saw international coverage but no where was this coverage more concentrated and extensive than in Canada. Paris is an international city; one of the most visited and well-known even to those that have only toured it via films and books. This fact is precisely why coverage of the tragedy here is more intense than the coverage of similar attacks. Paris is a relatable, familiar location where many of us have participated in the exact activities, in the exact locations where these event unfolded. Familiarity breeds curiosity. The 2013 Westgate Mall siege provoked blanket media coverage. There have been attacks before and since in Kenya however this assault occurred in an everyday familiar location– a shopping mall – riveting global interest. Paris belongs not only to the French but is a global outpost which many call “home” whether they’ve taken up residence or not. The population of Paris is not simply French but vibrant, massively multi-cultural; where Eid and Diwali are as well-known as Hanukkah or Christmas. Comfort must overrule the cynicism in the perception of preferential coverage. If anything, the coverage of Paris shines a light on bias and can, if allowed, frame an understanding of life in war zones and build empathy towards refugees fleeing these exact horrors. So, recognizing that media will be intense and pervasive does one shelter or share with a child? We all make our own choices as parents but open discussion should rule. Parents, families, friends, aunts and uncles are best placed to open this sensitive dialogue even in a selective, imprecise manner. Children, even the very young, are acutely perceptive whether to a news report playing in their home, a magazine, newspaper or iPad story left open. A media-blackout at home cannot control what is overheard on the streets, schoolyards and playgrounds. Far worse than having this delicate, uncomfortable conversation is a child being burdened with almost incomprehensible information from another child that may have been exposed to the horrible details without an opportunity for follow-up and exchange. So we sit with our children and tell them that some people were hurt in Paris and that this has made us and the world incredibly sad. We light a candle and take them to a memorial if they need comfort. We start a dialogue enabling them to come back to us should they overhear disturbing news, have questions or fears. Together, regardless of age, we open that interchange, we fumble, we improvise, we speak; we simply do our best to ensure the communication is there for solidarity, empathy and reassurance. The international ride of silence that sweeps the globe in May is back next Wednesday in Ottawa. 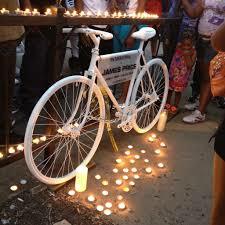 The “Ride of Silence” sees cyclists come together in cities and towns across the globe to silently pedal a brief distance in memory of fellow bikers that have been injured or killed on the roads. The event HONOURS those who have been injured or killed, RAISES AWARENESS that bikes are here and asks that we all SHARE THE ROAD. Francis Ouimet is the organizer of the Ottawa ride. He invites riders to gather on Laurier Ave in front of Ottawa City Hall at 6:30 pm and the ride begins at 7 pm, rain or shine. The route as per last year will be two loops of the Laurier St segregated bike path from City Hall to Bronson. Follow in Jane Jacob’s footsteps and get better acquainted with the city on your doorstep. 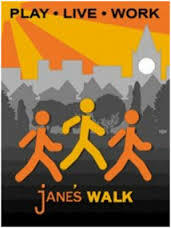 This weekend marks the 2-day Jane’s Walk phenomenon that, based on Jane Jacob’s advocacy for walking as a way to connect, understand and build thriving communities. 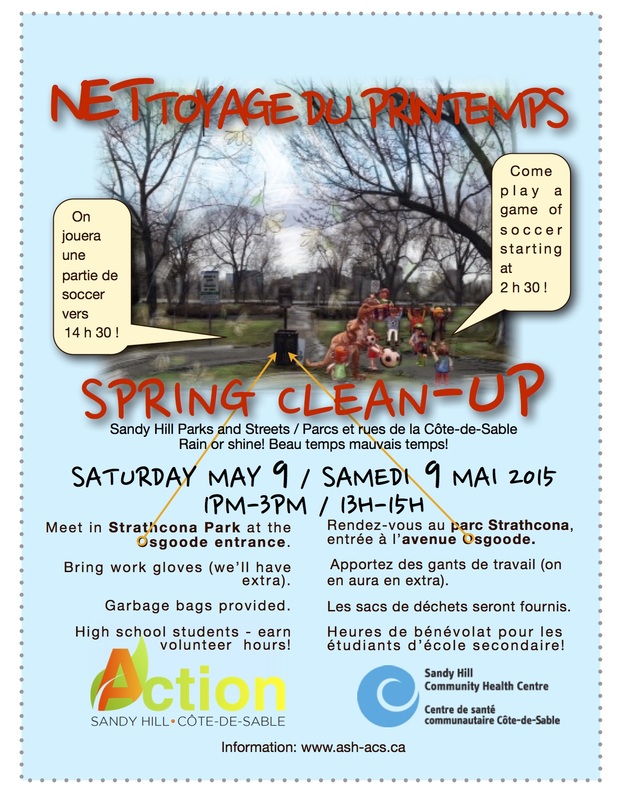 A growing number of volunteers organise informative FREE strolls around Ottawa neighbourhoods this Saturday and Sunday. The areas are so diverse the times so disparate you are sure to find many that slot easily into your weekend plans with even a choice of French & English tours. With over 50 walks organised this weekend – all clearly listed here – everyone can get walking and get connected with Jane’s Walk. 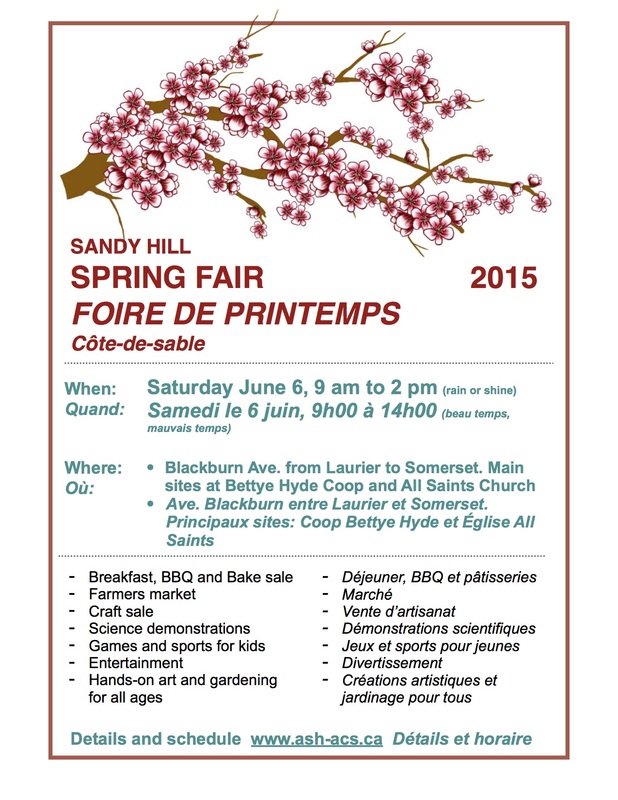 The countdown is on! This Friday, March 6, Nordstrom is throwing open the doors at their flagship Ottawa location in the Rideau Centre and we can’t wait. Having seen the care and detail they have put in to the fittings and fixtures at the media preview and the attention to detail in their outreach we expect great things from his retailer. The invitations to preview and visit the site have been fast and furious – this is an organization that has demonstrated great interest in plugging in and engaging with out local community. Hosting events since last year and a flurry of happening this week. Find below a couple of opening day promotions from the PR and service team! More than just fashion there are some wonderful site highlights: The in-house restaurant, the kid’s play area and the outstanding change rooms! Opening Day Beauty Bash: Friday, March 6, 7:30-9:30 a.m. In addition to the excitement taking place inside the store (please see below), the outside of the store will also be a hot spot as Nordstrom hosts a cosmetics and fragrance “Beauty Bash” at its mall entrance. Nordstrom beauty advisors will offer complimentary skincare consultations. Nordstrom Beauty Director Loredana Grama will share the latest beauty tips and tricks. Loredana is also available for media interviews about seasonal beauty and fragrance trends. Opening Day Store Countdown: Friday, March 6, 9:30 a.m.
More than 600 employees have been working and waiting for this day! Department teams will begin their own cheers, and then Store Manager John Banks will start rallying all the employees for what has become a Nordstrom opening tradition: a rowdy final store-wide opening countdown, during which employees will line the aisles near the store’s entrances to welcome and applaud the first customers through the doors when they open. Members of the Nordstrom family will be available for brief interviews. It’s a great opportunity to get customers’ first reactions to the new store. Important note: Media interested in capturing the countdown and opening from inside the store can arrange for early store entry at 9:15 a.m. Tremendous that this location was chosen for this, Nordstrom’s second location in our great country! Merci et Bienvenue!